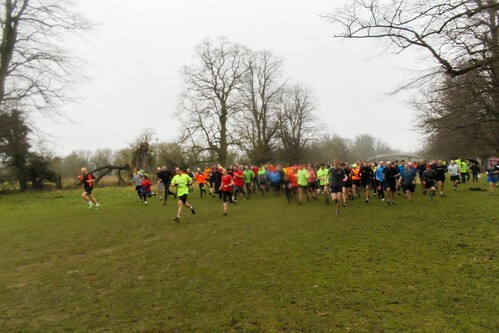 Tring Park parkrun #186 – And now rain!!!! 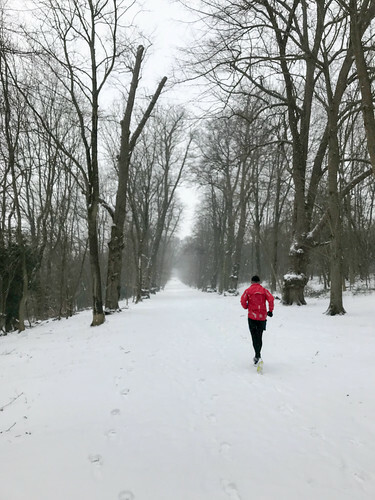 We’ve had some pretty tricky weather thrown at us over the last weeks with the ‘Beast’ and ‘Mini Beast’ from the East bringing freezing and snowy conditions to our lovely Tring Park. This week it was rain! Not a nice noisy, bouncy rain but the gloomy drizzly type that seems to get everywhere and soak everything. This made the conditions interesting however with a very slippery course to contend with. The weather didn’t stop 188 of you donning your trail shoes and hitting the park! 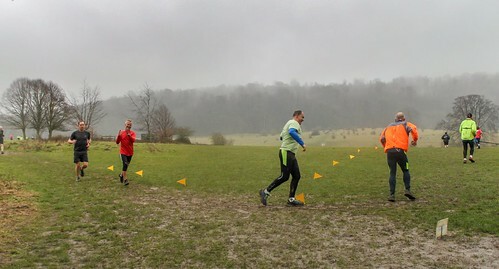 We welcomed 24 first timers who braved the weather to run the infamous Tring hills. We hope you enjoyed the course and come back again when it’s a little drier for a PB. A very wet and blurry start. 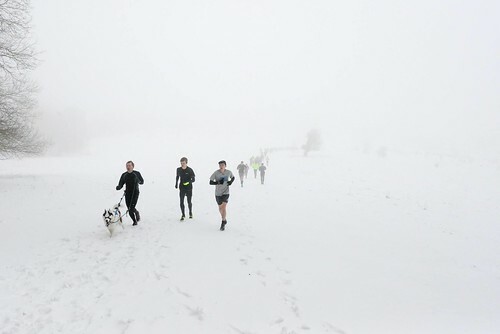 Despite the conditions there were 9 personal bests this week, well done to Billy Jackson, Charlie Crafts, Simon Nicholson, Yogi Powell, Richard Beadle, Nick Amos, Ross Meikle and Helen Moore. A very slippery ‘corner of false hope’, careful now! A huge thank you to all the volunteers who braved the elements to set up the course, man the marshalling points and manage the finish line. Many thanks to Chris Nicholls, Claire Hallisey, Claudia Selina, Dave Cary, Edward Hopper, Izzy Brookes, Judi Hopcroft, Katie Stapleton, Ken Douglas, Louise Brookes, Matt Beatty, Richard Murphy, Steve Bladen, Thomas Grey and William Brookman. The finish line crew, great job in tricky conditions. And now onto this weeks’ run and we have a wealth of achievements, data and stats to keep you entertained right up to next Saturday! Well done to Rona Gibson and Jasmine Margetts who both ran their 50th parkruns and earnt the coveted Red T-Shirt. 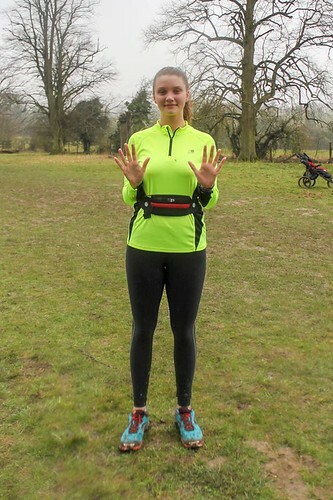 Also, Charlotte Severs became the 1st junior to achieve their 10 shirt in the space of 10 straight Tring parkruns. And last but not least Colin Chapman managed to finish 49th on his 49th parkrun, a very aesthetically pleasing stat! 50th on your 50th next week Colin? First across the line this week for the Ladies this week Claire Hallissey in 21:26 followed by Mary Ward in 24:19 and Rachel Wray in 25:34. For the men first timer Sam Upton was fastest in 18:37 followed by Billy Jackson with a PB time of 19:41 and Paul Myatt in 21:37. The now traditional Tring parkrun post run chat! The best bit? 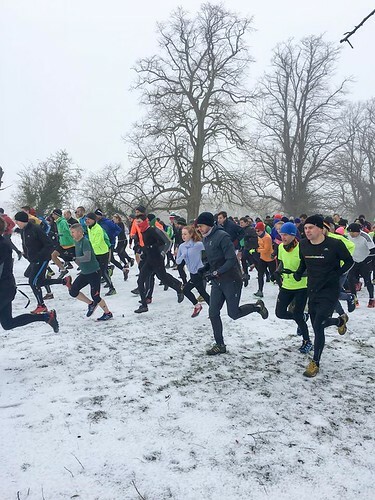 On a morning that dawned more bleakly than a Danish crime drama, the volunteers of Tring parkrun would have held high hopes that common sense would have prevailed amongst the runner and that everyone could remain safely tuck up in bed. Parkrunner however, have been accused of many things having any common sense is not one of them, so it was at 9am in the amidst of the mini beast of the east 156 runners appeared over the spiral bridge to tackle our own beast. 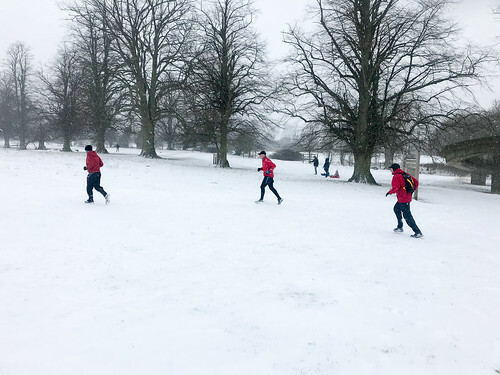 Of those parkrunners we welcomed 15 first timers, who didn’t let the weather stop them from completing their first run and clearly the weather condition “was a PB kind of day” for 11 lucky runners. We celebrated two milestones, Joshua Whitton achieved his 10th parkrun and Katrina Bond reached her 100th parkrun. Congratulations to both of you. 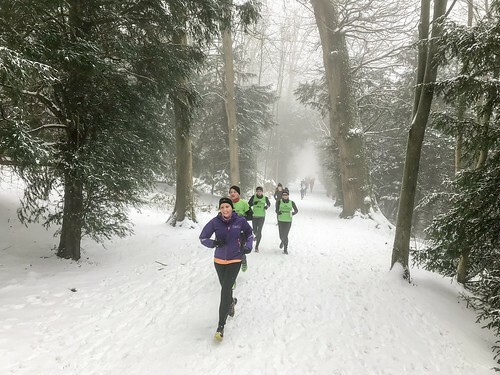 Three brave runners travelled from Sheffield through the mini beast from the east to support a family member taking on a slightly longer challenge in Ashridge on Saturday. The mini beast from the east did not stop out stats computer this week …. 1st week without an Alison running since August 2016! 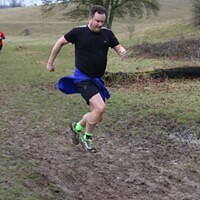 Trevor De Souza managed to finish 25th on his 25th parkrun and he almost managed the ideal time finishing in 25 minutes and ….. ……… 27 seconds – so close!! 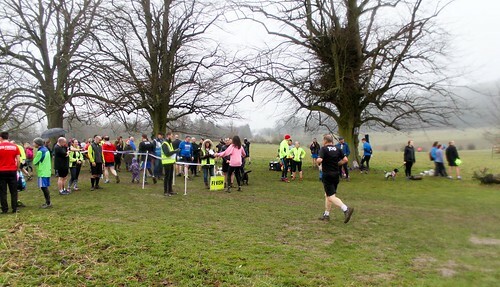 On a cool and grey morning on Saturday, we welcomed 199 participants to the 184th running of parkrun here in Tring. Apart from a handful of slightly late arrivals and a sneaky dog who had managed to slip his collar and evaded his owner for some distance (he was finally collared again heading for the exit), the whole crowd managed to successfully negotiate the course, even with enough mud in the usual places to steal the shoes of any unsuspecting runner. 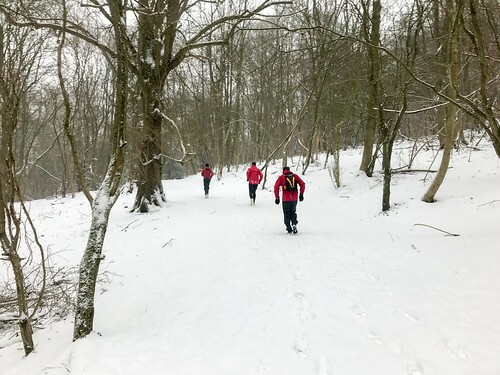 As has already been shown in the weeks' pictures, most managed the course in a pretty positive mood which is always great to see, though the chill in the air ensured that only a few lingered long enough to see Dennis Raffety complete the course as tail runner. 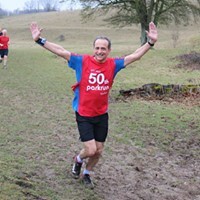 Congratulations to Dave Cary on reaching his 50th parkrun this week. Well done to Tony Peacock who ran his 1st parkrun in March 2016 and set a PB this week at his 2nd parkrun. 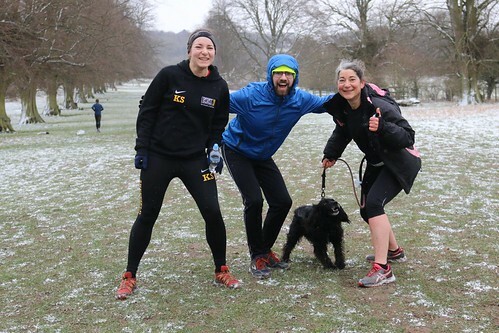 And similarly, Alarik and Emma Knox who ran their 1st in October 2016 and knocked off over 7 minutes from their PB at this week’s parkrun which was also their 2nd parkrun. 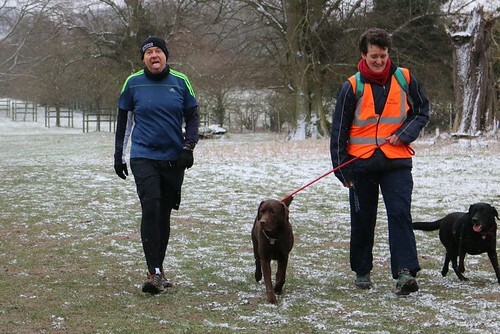 Tring Park parkrun #183 –The Beast Bites!!!! There had been a lot of warnings about ‘The Beast from the East’ causing major issues through the entire week but Tring had remained pretty unscathed…… until Thursday when suddenly the Beast Bit! 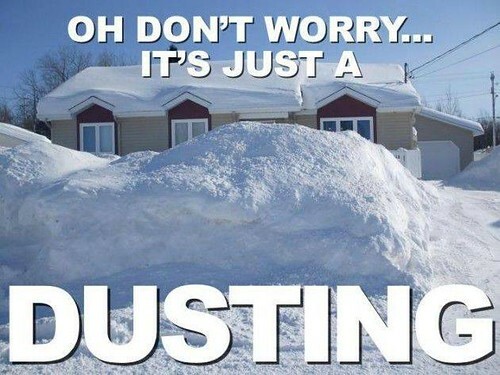 We had snow all day Thursday and then more on Friday afternoon when it started to come down heavier than ever. 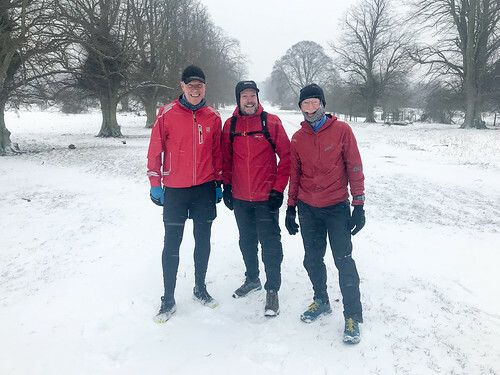 A lot of parkruns cancelled pretty quickly but at Tring we wanted to maintain our ‘182 not out’ record so myself, Ken Douglas, Andy Collings and John Manning arrived in the park at 16:30 Friday evening to recce the course and assess the risks. 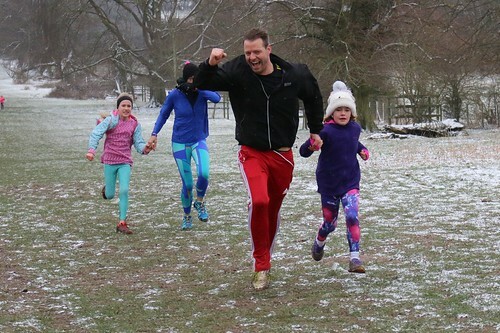 As soon as we got there things didn’t seem that bad and after a full lap and post run discussion, in the Pub!, we all agreed to go ahead and the Tring parkrun PR machine went into overdrive. Now onto the run itself. Firstly a huge thank you to all the volunteers who braved the elements to set up the course, man the marshalling points and manage the finish line. Many thanks to Andy Collings, Andy Evans, Barry Watson, Carol Page, Chris Millar, Chris Parker, Elizabeth Daniel, Ella Van De Linde, Len Van De Linde, Ken Douglas, Louise Bladen, Philippa Storr, Sarah Watson, Steve Bladen, Stuart Page, Vicky Lea, Vicky Wilson and William Brookman. A special thanks to Will who took some great pictures and braved the elements in his shorts! Not surprisingly we had our lowest attendance since December 2016 with 139 runners completing the run. However, despite the snowy conditions, we still had 9 PB’s. Congratulations to Oliver Moore, David Geary, Jim King, Ben Baker, Graham Cooper, Emma Bisgrove, Yogi Powell, James Geary and Tigi Herbert. Well done to everyone that got a PB, there were some amazing improvements which I think shows that snow is a lot faster than mud! The view looking back from gate one. The view looking back along the ‘Ride’. We had two milestones this week with Ian Down and Michael Fryer both completing their 50th parkruns and earning the coveted red shirt, well done to both you. This week we welcomed back Eye Community Runners who smashed their previous attendance record with 6 runners this week (If you didn’t know - Eye Community Runners are based in the village of Eye, four miles east of Peterborough). It was great to see you at Tring and well done on making the journey from Eye in the conditions, we hope to see you again soon. 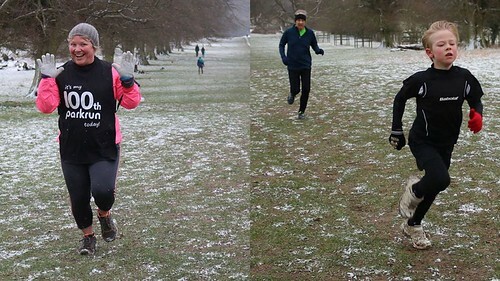 The snow didn’t stop Lorraine and James our 2 remaining members of the Year 4 100% club and well done to Janet Reeve who managed the equally challenging task of finishing 101st on her 101st parkrun. First across the line this week for the Ladies this week Claire Hallissey in 22:57 followed by Tilly Green in 24:43 and Elaine Bunn in 26:49. This week we've handed over the run report to Wes Ball who ran his 100th parkrun and so he tells us about his life as a park runner. I ran my first parkrun on 8 September 2012. I remember it well. My friend, Hopi Sen, had been urging me to take up parkrunning for months but I'd never really got round to it. I didn't really understand how you could sign up for a race - I thought it was a race at the time - that was run every week for free. FOR FREE. Hopi had tried to persuade me it was more of a social club, but I didn't really get it. I was taking it ultra-seriously. The Friday night before had been my cricket club's end of season drinks. I had a simple pint and nothing more. "I'm racing tomorrow, lads". My first parkrun was at Finsbury Park. At the time we lived five minutes' walk from the park. With a six month old baby, we had been daily visitors to the park over that hot, Olympic summer: to get some fresh air away from the flat; to push the baby round and help him sleep; to meet ante-natal friends and talk to people. So turning up at the café was a very familiar experience. Putting on trainers equally so. I'd been an on-off runner for the last 10 years. More off than on in recent months but nothing out of the ordinary. As I recall it was a warm early Autumn morning. I did two laps of Finsbury Park in 23:51. Next week I went back and did a PB in 23:50. This parkrunning malarkey was easy. Then I didn't go back until November. And then January; then February; then June. In my first year of being a parkrunner I turned up at my local park - just five minutes from my flat, remember - six times. In my second year it became a bit more of a habit. Fifteen runs at Finsbury Park. And my first tourist experience at the confusingly named Parke parkrun. It was wonderful. It was off road, muddy in parts, quite hard. It was totally different to the pavements of Finsbury Park. What was the same were the friendly folk who welcomed me. Not literally the same folk; but the same outlook: chat to anyone, we're all runners, and we're also here to be friends. It was also in my second year that I also had my one and only FYB moment when I ran at nearby Alexandra Palace parkrun. Remember folks: don't forget your barcode. What got me going in that second year was encouraging a friend of mine to come along. Another former colleague and near neighbour, Adrian McMenamin, was finding his way into running. He was unconvinced he could run 5k. I told him it didn't matter - it was a run, not a race. We would run together and have a chat. He turned up that first time and it became a regular habit of ours; a way of keeping in touch. I remember Adrian saying to me at one point that he'd get his hundred in a two years or so. I was like: "Yeah. That should be possible. I'm already well on my way." Along the way a second baby had arrived and in the summer of 2014 we moved to Berkhamsted. The nearest parkruns were Aylesbury and St Albans. Not especially close. 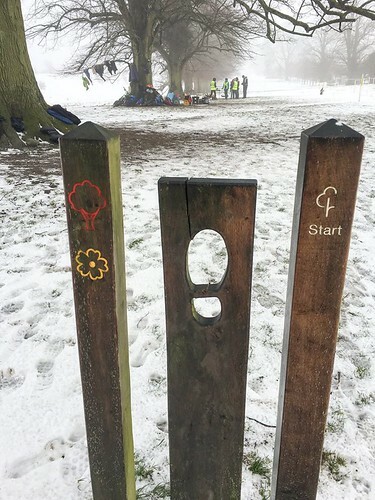 I emailed parkrun HQ and said I'd be keen to set one up closer to home. In the meantime I'd done a couple of runs at St Albans. Same, same, different. Different course - a lake no less - same friendly folk. I was well into this habit now. Then the Wizard of Oz, Glen Turner called me. "Funny you should say you want to set one up in Berkhamsted because we're just about to launch one up the road in Tring. They need some volunteers to be Run Directors. Do you want to be a part of it?" A few email exchanges and phone calls later and me, Josie and the kids are standing in Tring Park in late October 2014 looking around, wondering who we were supposed to be meeting. It was the test event and the first time I'd actually met Andy Evans, Andy Collings, Jenni and Toby Gribbin, Jon Hull and Judi Hopcroft - the original gang of Run Directors. We had 50 odd runners, very few marshals, and we were all learning on the job. 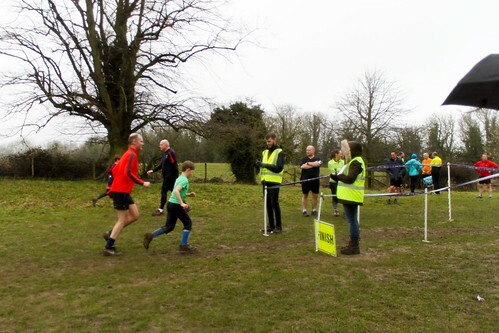 A week later it was the first Tring parkrun and we had 213 runners. We were still learning on the job and we still only had a few volunteers. Not long after that I went from being an occasional barcode scanner to my first stint as Run Director. Live and unleashed with a megaphone. Putting the volunteer list together, setting the course out, dealing with the practicalities. Before the run we had a panic as the car park hadn't been unlocked - not for the last time! And during the run some people, entirely by accident, took a short cut. All of a sudden a Saturday morning jog had become a series of responsibilities and things that needed sorting. The power of the megaphone was not wholly without challenge! But it was great. We were a fab gang. Andy and Glen had created something brilliant. Week by week we were putting on something that was bringing people together and that they really enjoyed. And we were putting this run on in the most beautiful of places. Somewhere that changed every week. Where the seasons changed the experience under foot and the sights you'd see along the way. Drop me in to a Tring parkrun at any point and I'd be able to tell you to within a couple of weeks of where we are in the year. 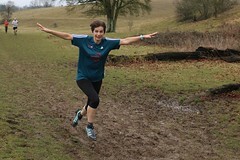 In April 2015 full of speed training from short jog that were breaking the relentless hours of a General Election campaign, I set my last PB at Tring park. And then running changed for me again. I'd started off calling it a race. Then I'd understood what it was all about and I'd understood it was a run. But still I wanted try harder and get a PB. And then in June 2015, my son, just four years and three months, was determined that he was going to run too. Three hilly miles. We made it around. There were breaks. And I'm sure there was a reasonable amount of carrying. But we had a great chat too. And I'd found a new running buddy. And finally, last week, finally, finally, finally… I made it to 100 runs. With dozens of new friends and other great people met along the way. With new routes learned and new places visited. With some good times to be proud of. But most of all with a new attitude to running: it's not about how fast you run, it's about who you're running with. And just keep running! So apologies for this personal story. It's not a run report. It's a life story of sorts. But parkrun and Tring parkrun have really changed my life for the better. As things stand we are good for tomorrow morning. The route is runnable, even allowing for the additional snowfall expected overnight. ALSO - access by road remains very tricky. The local car park is CLOSED and we request that you PLEASE DO NOT park on Hastoe Lane, which is already hard to drive up. Instead please find parking in town and allow extra time to walk to the park. PLEASE check road conditions and do not take risks if you are travelling from outside Tring. If you can walk/jog to the park we strongly recommend that you do so. And FINALLY - as always we will check the route again early tomorrow morning, just in case the forecast is wrong or anything else changes. If things take a turn for the worse we may yet cancel so please look out for a last update here at 8am-ish.